(Clockwise from top-left) Kamal Hossain, Harun-Ur Rashid, Manik Saha, Belal Hossain, Shafiqul Islam Mithu, Dipankar Chakrabarty, Humayun Kabir, Ataul Haque Mallick and Gatuam Das. It was supposed to be a day of celebration for Humayun Kabir Balu, former editor of the daily Janmobhoomi, and his family. His daughter's HSC results were out and she had done well. In order to spread the good news and celebrate, they went to Kabir's mother's house. However, as fate would have it, the events that followed on their way back home, changed their lives forever. As they approached their house, an unidentified assailant threw a bomb at Balu, which severely injured him. Minutes later, he was rushed to the nearest hospital. However, Balu was declared dead a few hours after he was taken into the intensive care unit. Almost seven and a half years have passed since Balu died, and yet, his killers remain scot-free. His family, in search of justice ever since, has been stuck in the complexities of the judicial process. Although the police had prepared a chargesheet accusing 11 people, almost all of them were acquitted and released as there wasn't enough evidence. A report published in The Daily Star states that the chargesheet provided by the police was “extremely flawed” and that it “lacked necessary evidence.” It further states that the investigation was not done properly and therefore the accused could not be proven guilty during the trial. Asif, who was also critical of the chargesheet filed by the police, believes that his father died due to political reasons. “He didn't have any enemies. Personally I think it was a political issue that led to his death,” he says. Following the first verdict, Asif and his family filed another case and are still waiting for the post-mortem report from the police. However, a lot of time has already passed and Asif believes that they need a miracle in order to catch his father's killers. “We are not that hopeful, honestly speaking, but we are giving it everything. Who knows? If the police submits a strong chargesheet we might be able to get some justice,” he says. Humayun Kabir's family members aren't the only ones stuck in this situation. 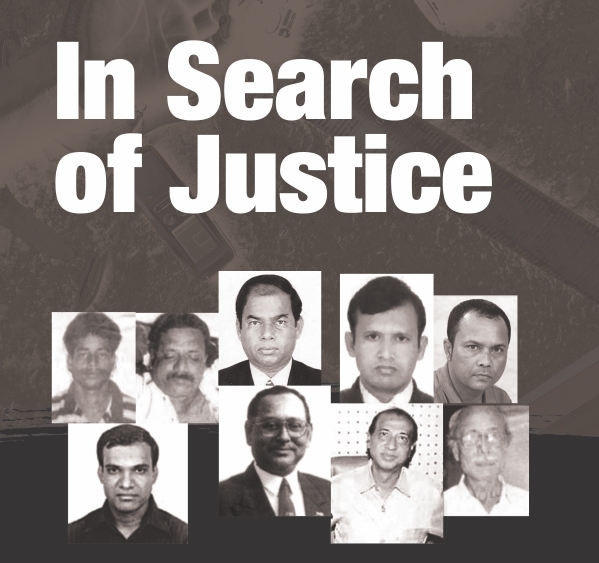 Recent reports claim that at least 18 journalists in the last 15 years were killed in Bangladesh; and none of their killers have been punished. A study on a number of these cases shows that most of the accused have either been acquitted due to lack of evidence or have been killed during shootouts with the police. A similar verdict was delivered in the case of Harunur Rashid, former crime reporter of Dainik Purbanchal. He was gunned down in 2002 at Mujgunni, Khulna. The CID had submitted a chargesheet which accused three criminals. However, once again, all the accused were acquitted due to lack of evidence. 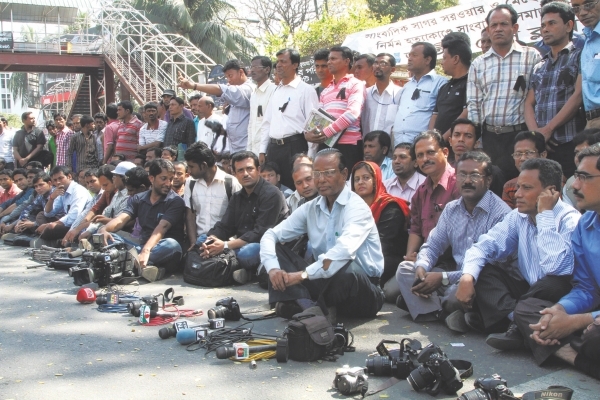 Journalists in Khulna have regularly demanded a fresh investigation ever since the verdict. “The chargesheet was not made appropriately. I wanted to include the name of a person who had called my husband at 2 am the night before he was murdered, since I believe that that person might have had something to do with his death; however, the police didn't add him to the list,” says Minu Begum, Rasheed's widow. She further says that she had given the number of that person to the investigating officer, but nothing was done. “Since there weren't any eye-witnesses, a strong chargesheet was extremely important for the case. However, the chargesheet was flawed and didn't have enough evidence, so nothing happened,” says Minu. Today, Minu Begum lives with her son in a remote village of Khulna. With the kind of trauma she has been through, it doesn't come as a surprise when she claims that nobody can arrest her husband's killer. 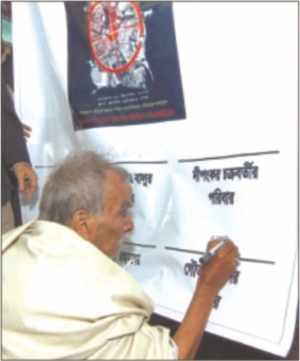 Balaram Das, father of slain journalist Gautam Das, puts his signature, as he joins a national convention on repression of journalists. “My husband is not the first journalist to be killed. Several others have been killed as well and none of the killers have been caught. I just want to continue living my life and hope that my children can lead a better life than me,” she says. Explaining the problems faced by relatives of murdered journalists, SM Habib, secretary of the Khulna Press Club, says, “The post-mortem done by the police isn't strong enough in most of the cases, because of which the court often sends the documents back to the police and this entire process becomes very long. So the time spent on these cases stretch to as long as 14-15 years and till now, as you can see, nothing has happened.” He further adds that when it comes to cases of journalists who have been murdered, most of the accused in the chargesheet are not the real culprits. So the actual killers are usually not arrested. Echoing Habib's sentiments, Mahfuzul Haque, a legal expert, claims that investigative officers often lack legal knowledge, which eventually weakens the chargesheet. “We need the police to be aware of the legal procedures of a case,” he says. He is also of the opinion that a weak forensic department negatively affected the outcome of several cases. “Our forensic department does not work properly. Take the recent deaths of Sagar and Runi; we would have managed to get a lot more details about the killer if we had a good forensic team,” he says. Analysts claim that most of the journalists have been killed due to the reports they published. In addition to flawed chargesheets, another problem that further weakens most of these cases is the inability to bring witnesses to the stand. Haque claims that witnesses, more often than not, are scared to go to court. This eventually extends the time-frame of the case. One trial which had all the above mentioned elements is the case of Saiful Alam Mukul, former editor of the Jessore-based paper, Daily Runner, who was killed in 1998 after assailants hurled a bomb at him. The case, which has been going on for almost 15 years, still awaits a final verdict. “The post-mortem didn't yield a lot of information and we don't have an eye witness, so our case is not going to be that strong. It's difficult to get witnesses. Even if they do come, their statements don't remain the same since the case has been going on for such a long time. Their statements change a lot,” explains Manjural Alam Tutul, brother of the deceased. The events that take place after the murder of a journalist in this country seem to be following a set pattern. A journalist gets killed; government officials state that the killer will be arrested within a short period of time; journalist unions protest the killing to no avail; the police submit a weak chargesheet, submits it to the court and after a lengthy process, which may go on for more than a decade, the accused are mostly acquitted. If the families of such high profile cases have to go through such long processes, then one can't help but wonder what dreadful conditions the common man faces while seeking justice. A similar pattern could be seen after the death of Shamsur Rahman, bureau chief of Dainik Janakantha, gunned down at his workplace in 2000. The Criminal Investigation Department (CID) had submitted a chargesheet against 17 people in connection to the murder. According to a report in The Daily Star, one of the accused was caught in India last year. The dire situation of the case was perhaps best described by Sajed Rahman, brother of the deceased, “We have no hope with this case. It's been 12 years and there is still no answer. I myself am a witness, and I am still waiting for a notification regarding the case and so is my sister-in-law. Two of the accused died in police shootouts and the rest of them are out on bail.” He further adds that he had even come to Dhaka to talk to officials regarding the situation of the case in 2010; however, he didn't get an answer. Shaikh Belaluddin, Khulna bureau chief of Dainik Sangram was injured in a bomb attack on February 5,2005 in Khulna. He later died in the Combined Military Hospital, located in Dhaka on Feb 11. 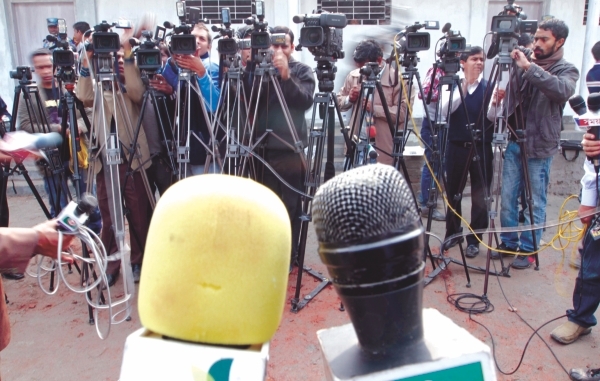 Vested groups have often claimed responsibility for the killing of journalists in the country. For instance, Janajuddha, a faction of the Purbo Banglar Communist Party, claimed responsibility for the death of Manik Saha a renowned journalist who worked with the daily New Age and was also a contributor to the BBC's Bengali-language service. The same group also claimed responsibility for the death of Humayun Kabir who constantly protested the killing of Saha. There have also been other cases where certain extremist groups have claimed responsibility for the deaths of several journalists. 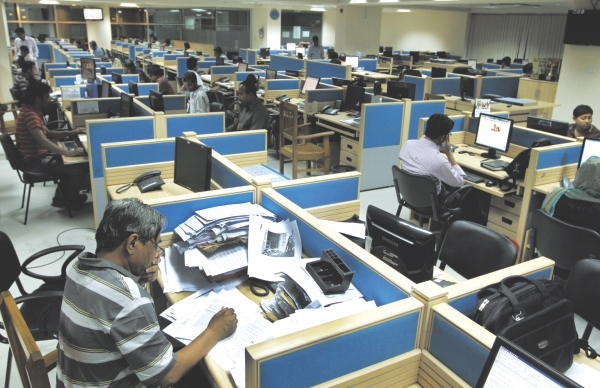 However, Habib, secretary of Khulna Press Club, claims that the death of most journalists have taken place due to the various stories that they had been working on. “Although certain communities take credit for the killings, we feel that the majority of the journalists have been killed solely due to the kind of reports they published,” he explains. Various events from the past support Habib's claims. For instance, analysts often link the killing of Deepankar Chakrabarty, former Executive Editor of Dainik Durjoy, in 2004, to his role in exposing the use of the Bhabani temple's 500 bigha (178 acres), which might have made him the target of those who were arbitrarily occupying that land. He was attacked with a knife near his home in Bogra. 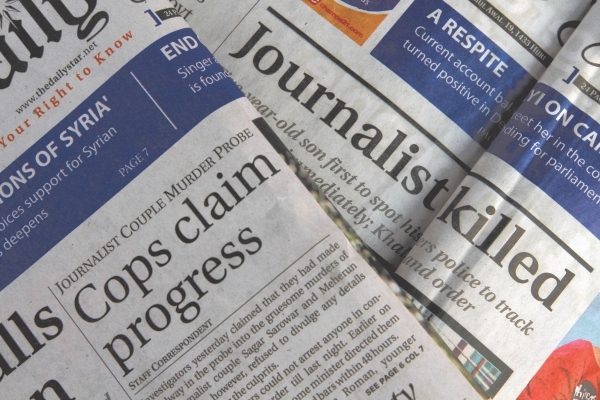 Similarly, a report published by The Daily Star claims that the death of Gautam Das, who worked for Dainik Samakal in Faridpur, was because he wrote against an illegal tender of a road construction in the city. Das was strangled to death by unknown assailants at his workplace in 2005. Although charges regarding Das's murder were pressed way back in 2006, the trial is still ongoing and a final verdict has not yet been announced. Several journalists are also of the opinion that a large number of these killings have taken place with the help of political support. According to Jahangir Akash Alam, multi-faceted crime syndicates always get political support. He says, “Various crime organisations have developed around different business arenas. These organisations are a source of finance for political powers. Journalists fall prey to terrorists and criminals, while writing about these syndicates.” He further says that as a result of this, even if the killers at the field level are identified, the main conspirators who run the show remain hidden. Supporting Alam's statement, an Odhikar Human Rights report claims that a large number of accused have been acquitted in 'politically-motivated cases.' Furthermore, recent reports published in various dailies state that several relatives of journalists don't expect any justice since they feel that the murders were organised by higher powers. Alam also believes that partisan journalism is one of the main reasons for the journalist killings. “Today journalists are known by their political affiliation and this is increasing the risk to their profession and life.” He further says that journalists need to be united in order to prevent these killings. “Although it appears that all journalists have unified in protest of Sagar-Runi's murder, the question remains as to how long this unity will last,” he adds. If the trial of Sagar and Runi's killings bears any resemblance to the previous cases, then their relatives are in for a long chase. As of now, the motive behind the death of Sagar and Runi exists only in theories. And unfortunately, this particular case includes all kinds: political, personal, robbery etc. However, as naive as it may sound, one hopes for a change in the pattern of the results that have come from these death cases. One hopes that at least for the sake of their only son Megh's future, that the real culprits are caught.